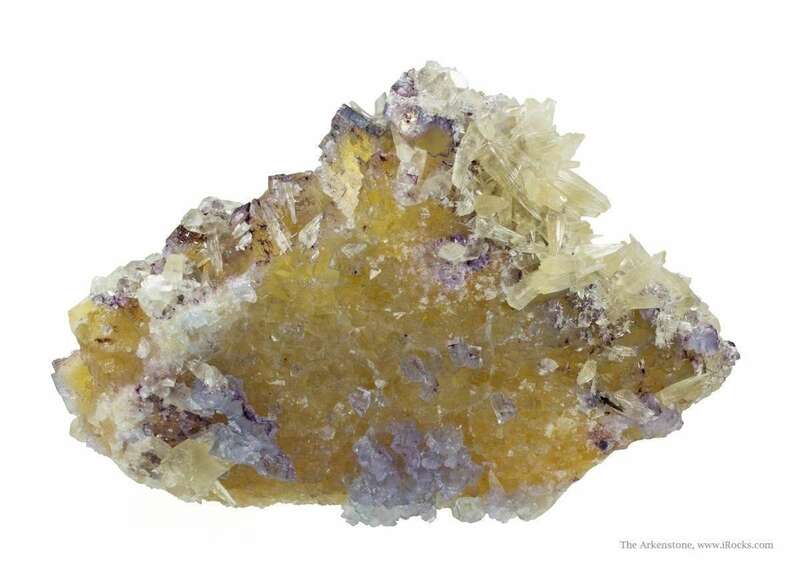 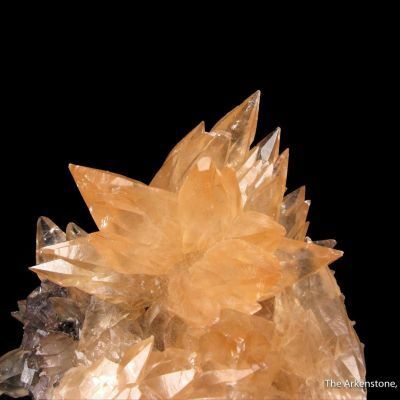 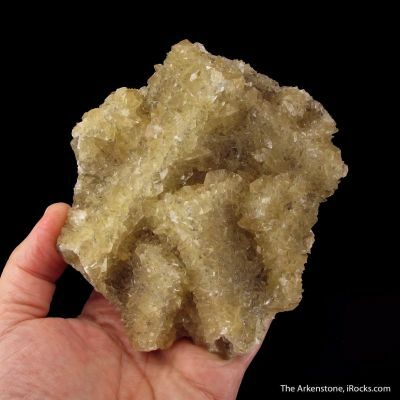 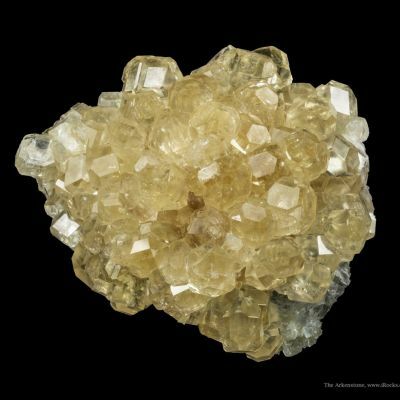 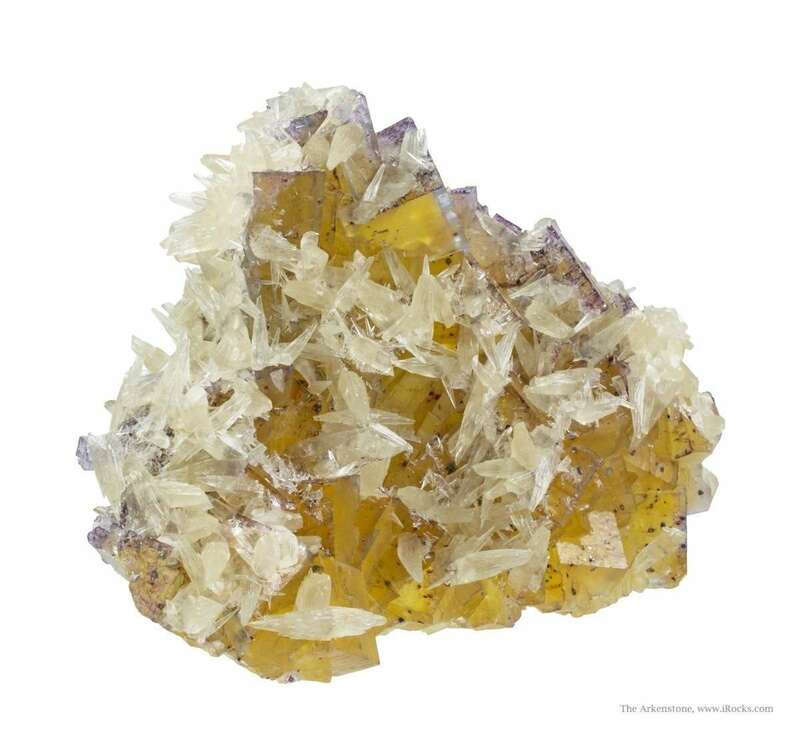 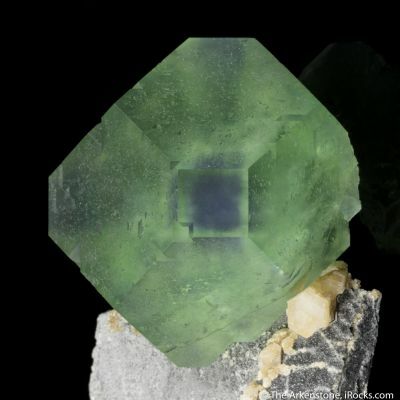 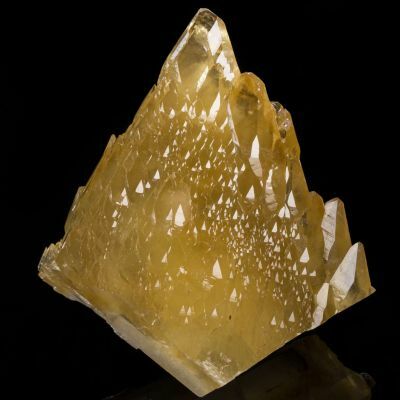 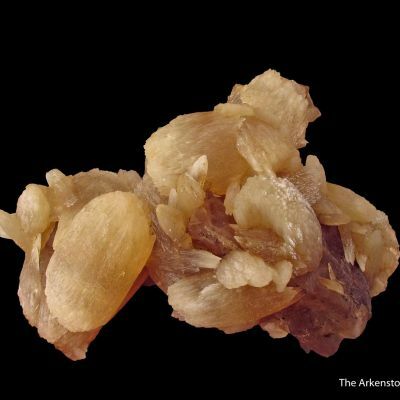 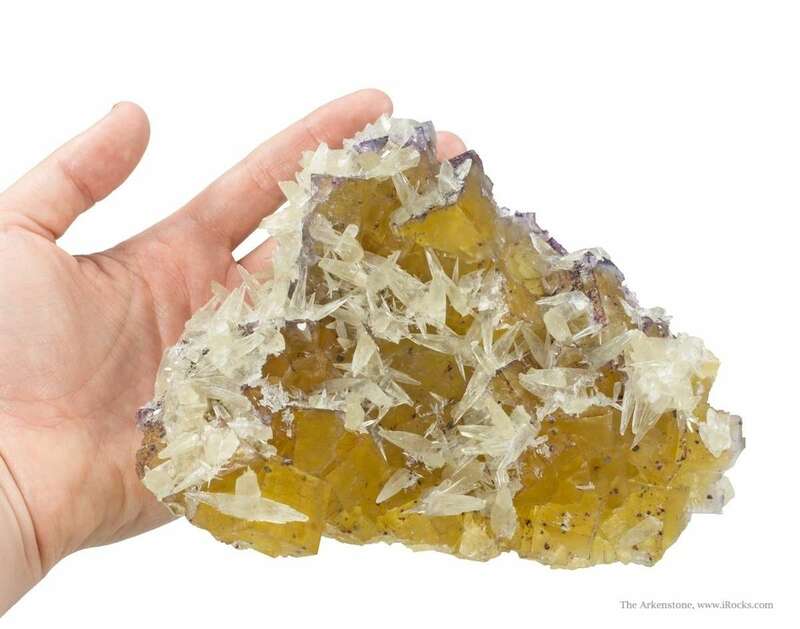 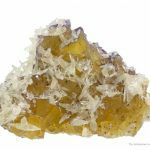 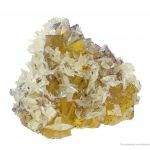 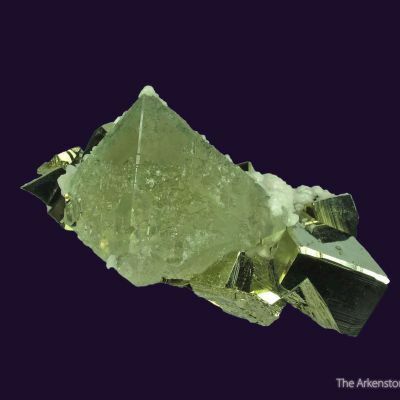 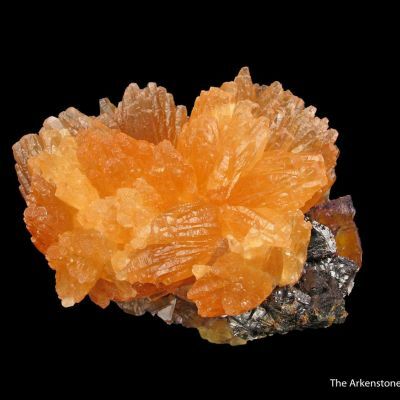 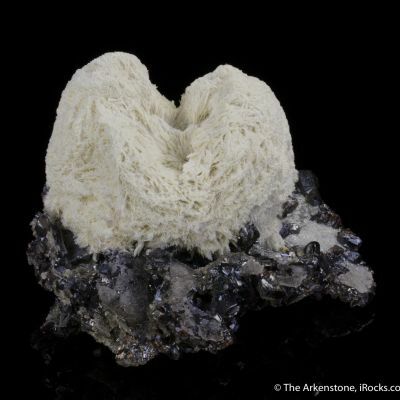 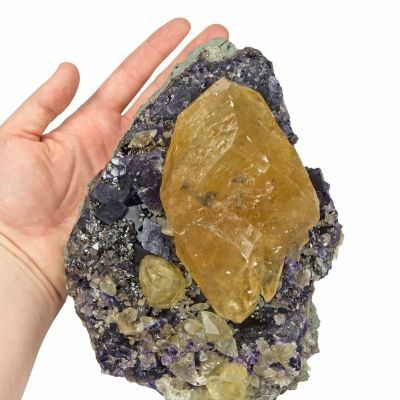 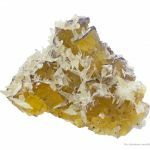 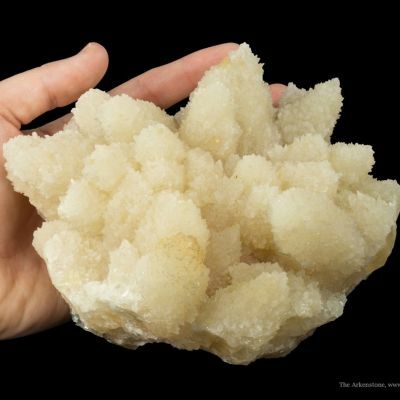 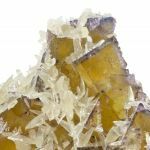 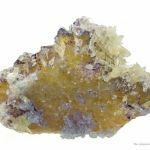 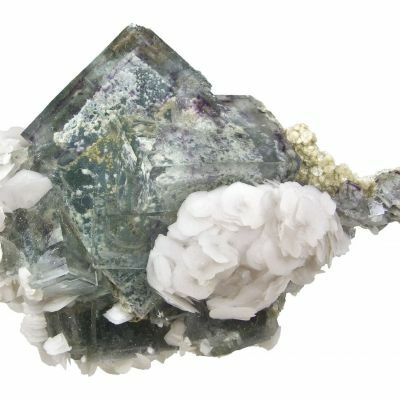 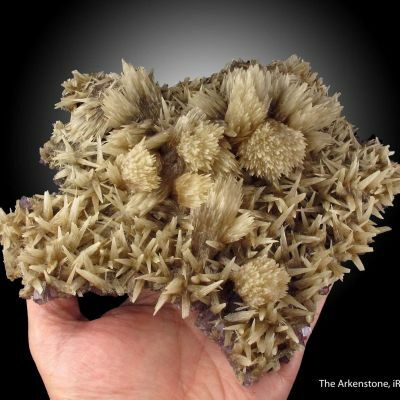 This is a classic, older style for the mine and glows when backlit, with a robust and saturated color seldom seen in the Illinois yellow fluorites that is more yellow than amber-yellow in hue. 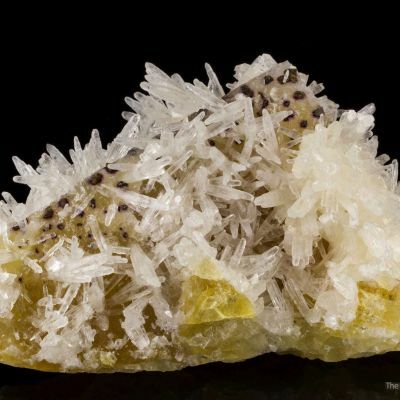 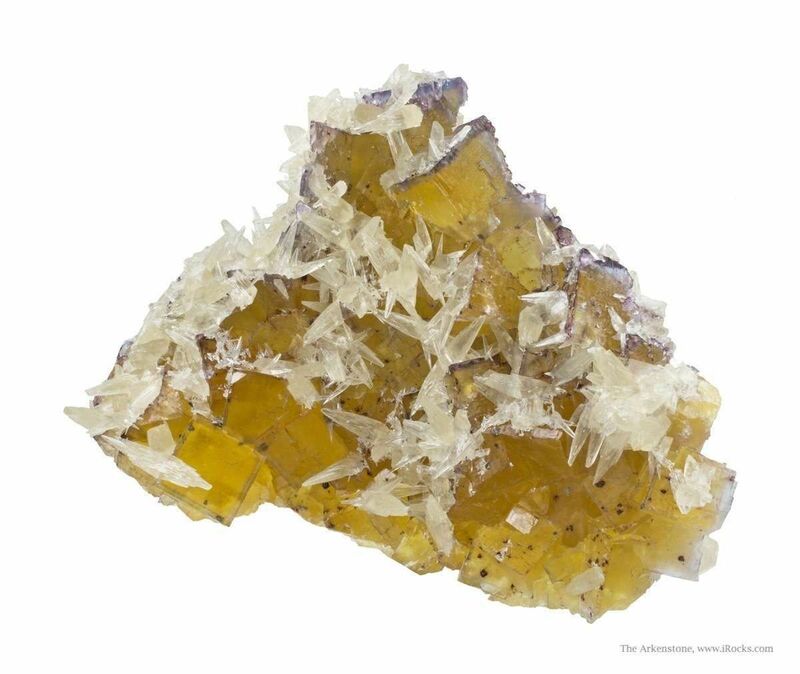 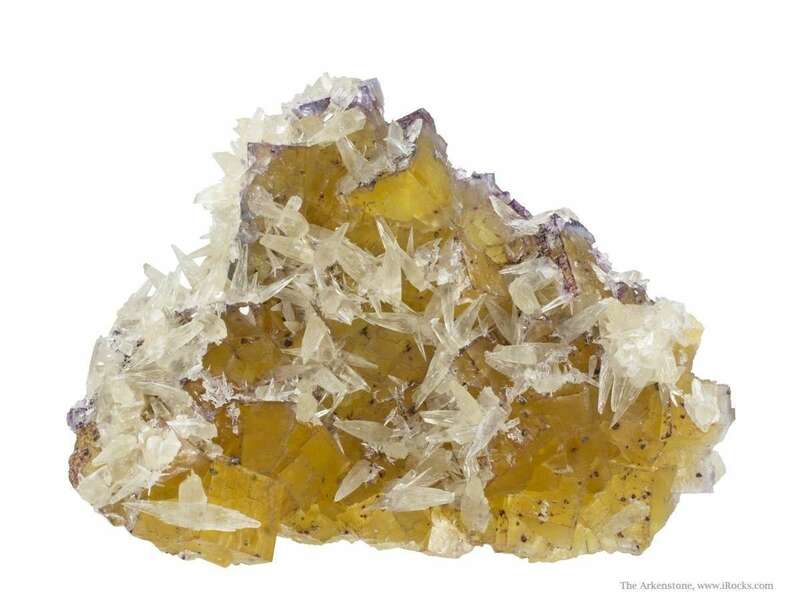 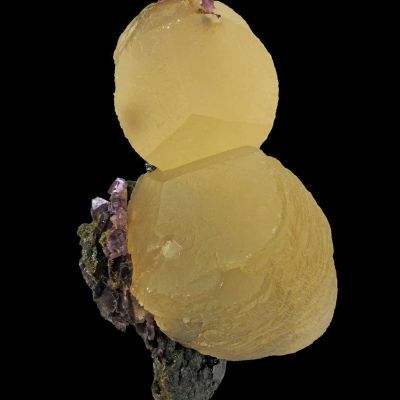 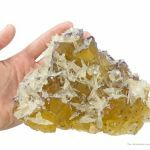 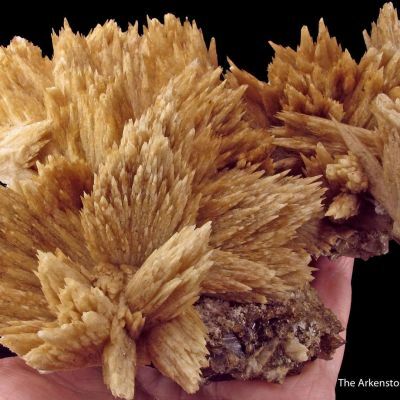 A plate of intergrown, lustrous and translucent, rich amber-yellow fluorite crystals, to 2.3 cm across is festooned with lustrous and translucent, straw colored calcite crystals, some doubly-terminated, to 3.1 cm in length. 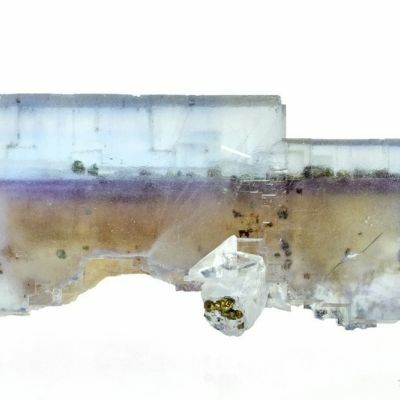 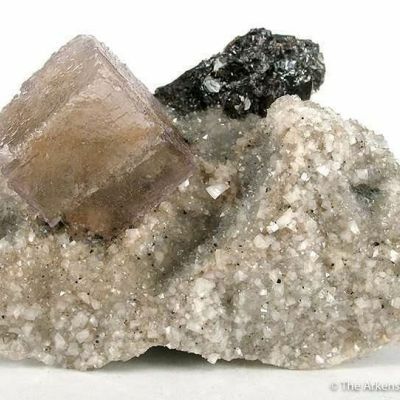 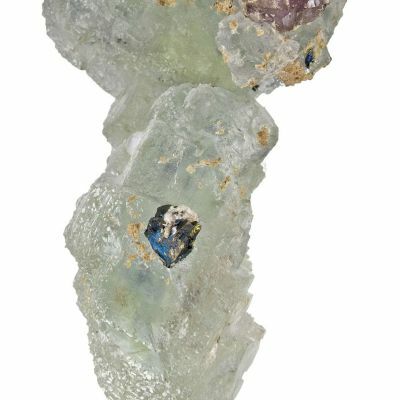 Most are undamaged and they make a great accent and contrast to the fluorite, although they can also be dissolved off with acid to yield a fantastic only-fluorite specimen, as well. 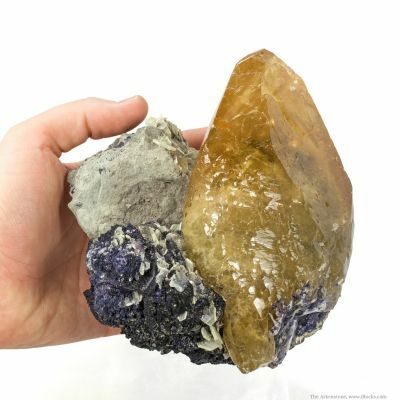 Great contrasts in color and form.